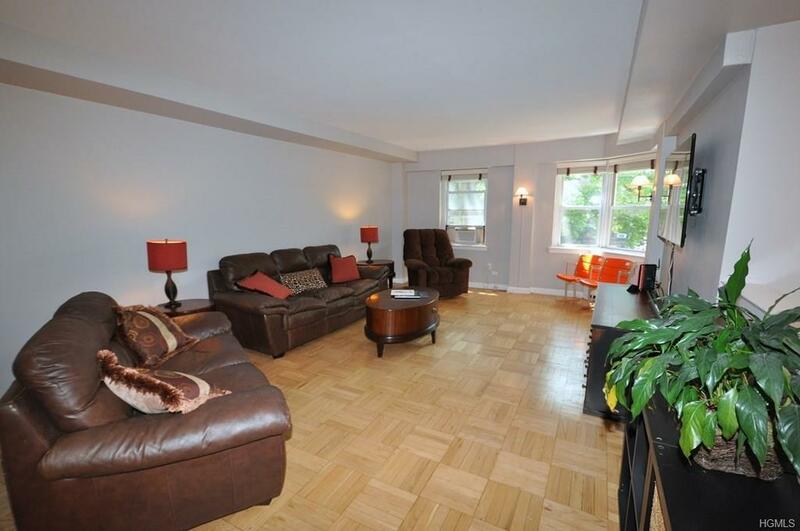 Welcome to this beautiful, nearly 1,500 sq ft, open concept two bedroom, two bath co-op at Garth Woods! 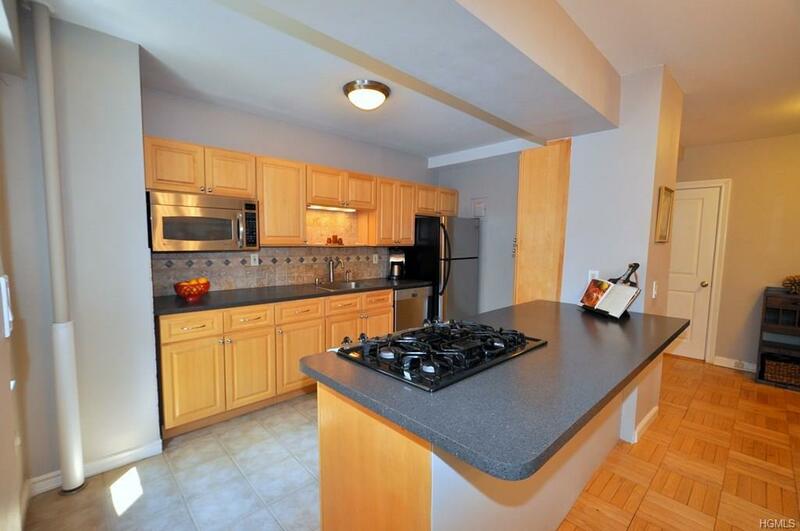 The kitchen has a large center breakfast island that opens to the dining room - the perfect set-up for entertaining. 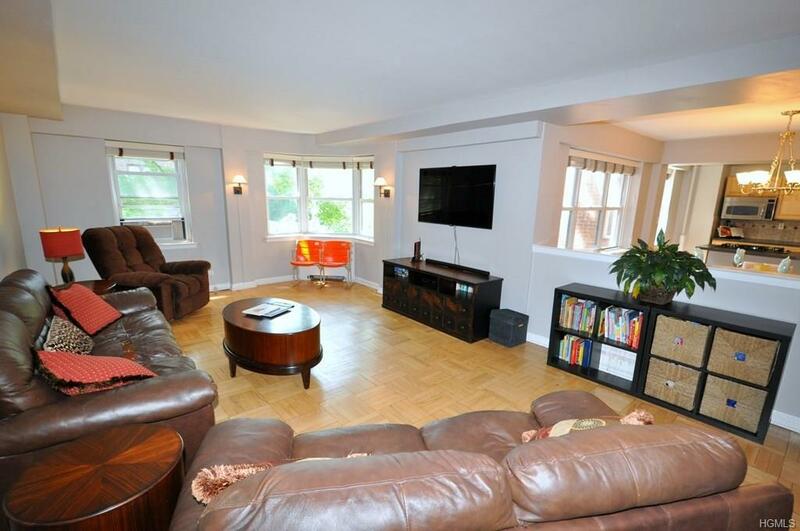 The large living room has quiet exposures, bay windows, refinished parquet floors and opens to the dining room. Both bedrooms are large with incredible closet space. Hall bath and master bath are both updated. Parquet floors throughout. Garth Woods has a doorman, two large laundry rooms, building and private storage and ALL UTILITIES INCLUDED in the maintenance! 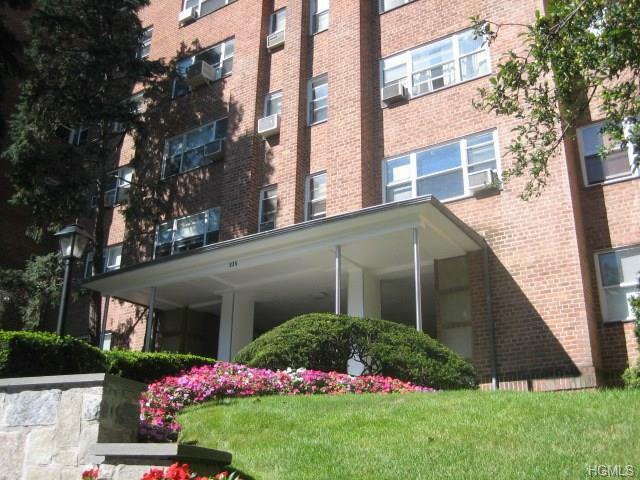 Easy walk to Scarsdale shopping and Metro North train station with a 35 minute ride to Grand Central Terminal. Maintenance does not reflect STAR credit of $133. As a residents you are entitled to join the Towns Lake Isle Park, that features a Par 70, 18 hole golf course, 8 Tennis courts and 5 swimming pools including a 50 meter Olympic Pool with eight racing lanes. © 2019 Hudson Gateway Multiple Listing Service, Inc. All rights reserved. IDX information is provided exclusively for consumers' personal, non-commercial use and may not be used for any purpose other than to identify prospective properties consumers may be interested in purchasing. The information appearing herein has not been verified by the Hudson Gateway Multiple Listing Service, Inc. or the Hudson Gateway Association of Realtors, Inc. or by any individual(s) who may be affiliated with said entities, all of whom hereby collectively and severally disclaim any and all responsibility for the accuracy of the information appearing at this web site, at any time or from time to time. All such information should be independently verified by the recipient of such data. This data is not warranted for any purpose. The data relating to real estate for sale or lease on this web site comes in part from HGMLS. Real estate listings held by brokerage firms other than Mark Boyland Real Estate Team | Keller Williams Realty Partners are marked with the HGMLS logo or an abbreviated logo and detailed information about them includes the name of the listing broker. Data last updated: 2019-04-20T00:15:34.56.